1) The fear factor. The threat of Children becoming something that is beyond our (adults / parents) control is a chilling concept, and has been used in classic Science Fiction to great effect (Midwich Cuckoos). By using the Children of Earth as a remote Herald for the first episodes without revealing the 456 attempt, an atmosphere of dread and fear was swiftly enabled. And that was before we found out the 456’s intent. When we found out what the 456 wanted, and worse still, what the purpose of their needs were, it was a terrible discovery. By using Children as the subject matter throughout its run, Torchwood Children of Earth created a climate of fear throughout its five day run. 2) Everyone was expendable. Without wanting to give too much away, one of the main characters (ie one of the Torchwood staff) lost their lives in a very dramatic fashion in episode 4. Elsewhere, main characters were despatched without fear as the high stakes at play – control of the Earth, the survival of the Human race – exacted a heavy cost to some. Torchwood series 3 was not afraid to let the viewers believe that they wouldn’t get rid of that character – and then promptly did get rid of that character. Some of the fatal scenes, especially in the final episode, were extremely harrowing, but handled with sensitivity. 3) The emotion. The thought of hundreds of thousands of British children being herded onto buses from their school playgrounds, while mothers desperately try to break through the ranks of armed soldiers to save their sons and daughters? The desperate attempts of Gwen and Rhys to save a handful of young children from the advancing troops, sent to find those children who had not turned up to school that day? The Fathers failed struggle to attack the soldiers as children were dragged kicking and screaming from their houses? Incredibly moving, emotionally charged to the point I was filled with rage at what I was seeing. This was great television. Television drama with a purpose – to entertain but to also ensure you felt how much was at stake, and that the world was in peril and ordinary people were being affected in a very painful way. 4) The 456, heard but not seen. Shrouded in a huge containment tank that swirled with a fog of chemicals to sustain them during their negeotiations, the 456 were never fully revealed. Apart from huge crab like claws and the eerie,devastating glimpse of a child from the past welded to the creature, the ‘less is more’ approach worked incredibly well. The intelligence of the creative team to not fully reveal the Alien(s) appearance allowed the viewer to only imagine the horror that lay beyond the obscuring fog. 5) The Doctor was nowhere to be seen even though this was BBC1. That could have been a cheap ploy – at the height of the drama, when everything seemed beyond repair or salvation, I really did think that maybe Captain Jack Harkness was going to call on the Time Lord to help resolve the situation. Having transferred from BBC2 to prime time BBC1, this would have been a way to get new viewers on board. They didn’t. 6) The acting. Look, it was great – John Barrowman, Peter Capaldi, Nicholas Farrell, Paul Copley, Kai Owen, Gareth David-Lloyd, Susan Brown, Eve Myles, Cush Jumbo and Lucy Cohu – they all played some great scenes. 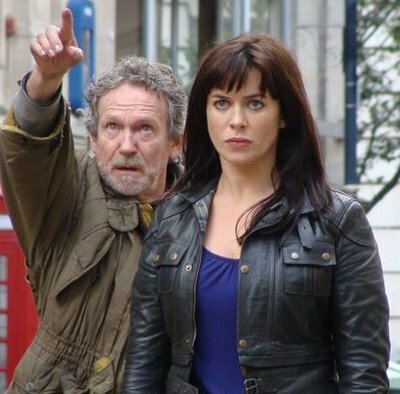 The tragedy of Peter Capaldi and Paul Copley (pictured below, with Eve Myles). The sneering and scheming of Nicholas Farrell. The steely determination of Susan Brown. All were quite brilliant. Not forgetting the children! Each and every one of them played their roles to perfection – real children in a truly dire and horrific situation. 7)The politics and the evil spin. The process of damage limitation for the Government – how they plotted to hand the ‘tribute’ to the 456, how they would handle the inevitable fallout, and most of all, how they could ‘spin’ their version of events to ensure that it never appeared that they were colluding with the Aliens – was chilling and sobering. It felt like it could happen here, and amongst all of the horror and despair going on outside of that meeting, perhaps there, amongst the politicians, military and the advisors and civil servants, were the most horrific scenes from Children of Earth. 8) Economy – Series 3 of Torchwood was just 5 episodes long, dedicated to one storyline and went out over 5 consecutive nights. Not a ground breaking format, but one that perfectly suited this involving and gripping drama. Each episode effectively ratcheted up the tension from the previous one, and managed the difficult task of making each episode better than the previous one. If Torchwood is to return, this series is going to be difficult to beat. 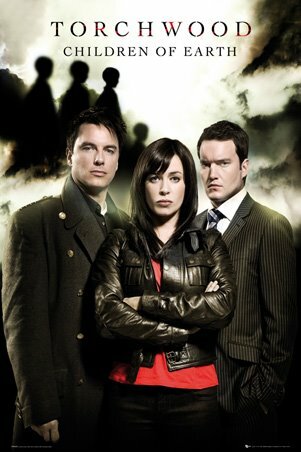 If Torchwood has now ended, then this was a brilliant way to go out, at the top of its game, having produced some of the best British Science Fiction Television ever. This stands alongside some of the best Doctor Who (Blink, Turn Left, Journeys End) and some of the best television drama of the year.